Little was already serving a life sentence for the murders of three women in 2014 when he agreed to speak to investigators in another cold case in exchange for a prison transfer. The killer then began confessing to dozens of other murders committed between 1970 and 2005. By November 2018 he had admitted to 90 killings in all, but the horrific scale of his crimes rose further still when he recalled a further three victims in December. The bureau said he has a vivid memory for detail when it comes to the women’s faces and how he killed them, but is less reliable on the dates the crimes occurred. Little reportedly told officers that he was a good drawer and promised last year to produce portraits of his victims from memory. 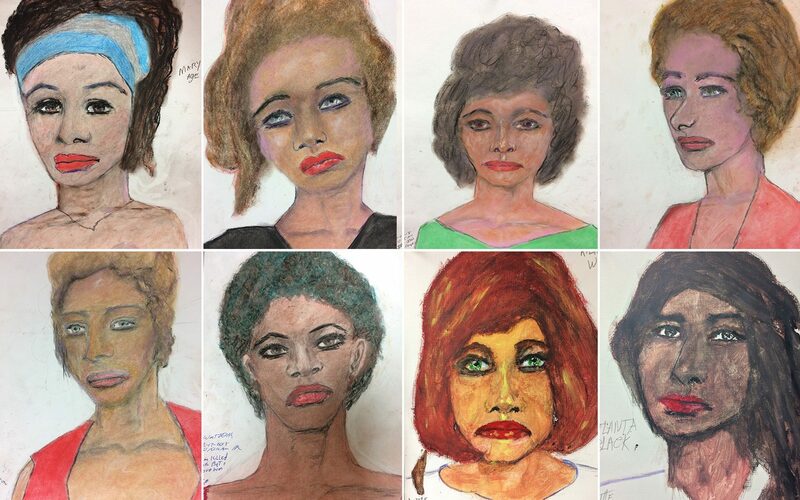 He used a combination of chalk, pastel pencils and water colours to capture the faces of 16 of the women in their final moments.